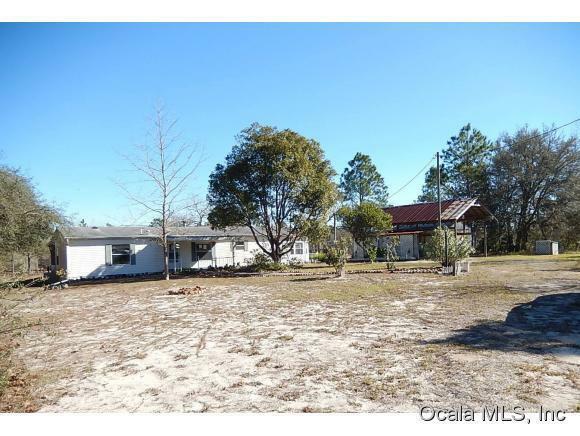 Spacious 3bd, 2ba doublewide mobile home on 10 acres of land! Located in Dunnellon, this lovely home features updated kitchen with island and breakfast nook, Gas fireplace, Gas water heater, Roman tub in master bath with skylight, wood laminate, tile and carpet flooring. Nice large work/storage shed, carport and RV parking with its own well, all surrounded by green trees and blue skies. This is a must see!